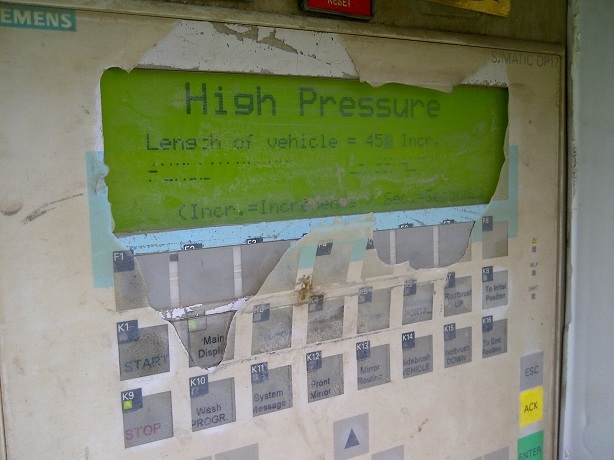 A customer recently approached us with a troublesome HMI display that was on it’s last legs. The unit in question was a Siemens OP17 6AV3617-1JC20-0AX1 HMI and although it had done a sterling job controlling a wash plant for many years it had unfortunately seen better days and an HMI Upgrade was needed. A replacement unit was ordered, however a certain degree of care was needed as the original software could not be located. This meant that the software from the original, problematic unit had to be uploaded for safe keeping and then downloaded back into the new Siemens OP17 HMI. This was achieved by using Siemens Simatic ProSave Software which allows a ‘Backup’ and ‘Restore’ function from these older text displays such as the OP17 6AV3617-1JC20-0AX1 with a .psr file extension. We happily helped with this and the new HMI is now fully functional, with the original software back inside controlling the wash plant as required. We often get called out to help with PLCs or HMIs who’s original software cannot be located and depending on the manufacturer and model it may be possible to upload the original software from the device. However circumstances may prevent this from being possible such as password protection, damaged communication ports or the original program being ‘lost’ altogether, which is usually a sign of battery issues, often when the machine is powered down for any period of time. Another thing to bear in mind is that the majority of PLCs do not hold the descriptions and comments within the CPU, meaning only the raw ladder diagram (or statement list, FBD etc) can be uploaded. 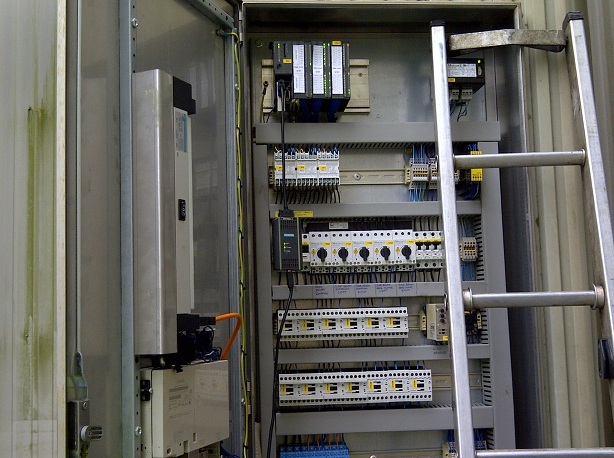 Sometimes on small systems this is not necessarily a big problem as the presence of a good set of electrical drawings will often show how the PLC I/O is used without the need to start tracing wires around the control panel or machine. From this it may then be possible to work out what’s going on within the program, however on larger systems or installations containing in depth process and sequence control it becomes a massive ask to work out what’s going on solely from a set of electrical schematics. That’s why due to the bespoke nature of many PLC installations, original commented copies of the software are vital for fault finding and ongoing maintenance. My advice to anyone with a PLC Control System would be to firstly get a fully commented backup copy of all software (PLC and/or HMI), including any passwords which are applicable and secondly ensure you also have an up to date set of electrical drawings for the Control System as a whole. Having these in place will not only drastically reduce system downtime but also prevent the nightmare scenario of the original PLC / HMI failing altogether with no backup copy of the code in place – as ironically with automation and controls you sometimes never know what’s around the corner! Please remember to let us know if you have any requirements to backup your existing PLC and/or HMI Software or are simply looking for general, friendly advice about any of the points raised above, including our HMI Upgrade service. Thanks.